As much heat as light? Back to places with a rather more extreme environment than Durham…. It’s not only bright light and a lack of water that can cause problems for plants in Ladakh; temperature is another key aspect of the environment. 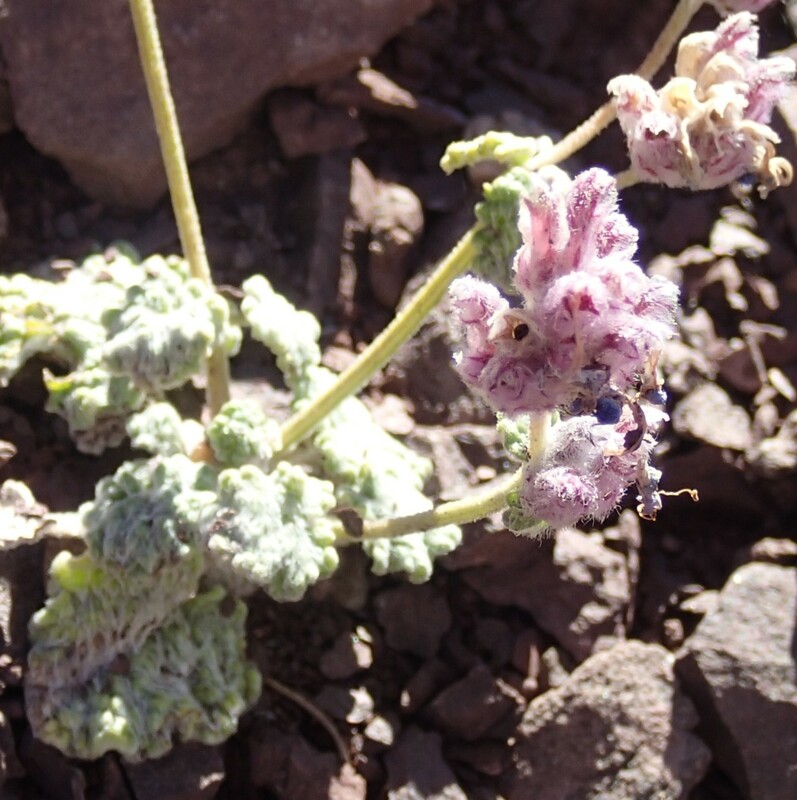 Because of the altitude, plants here have to cope not only with seasonal temperature changes but also with extreme differences between day and night-time temperature. 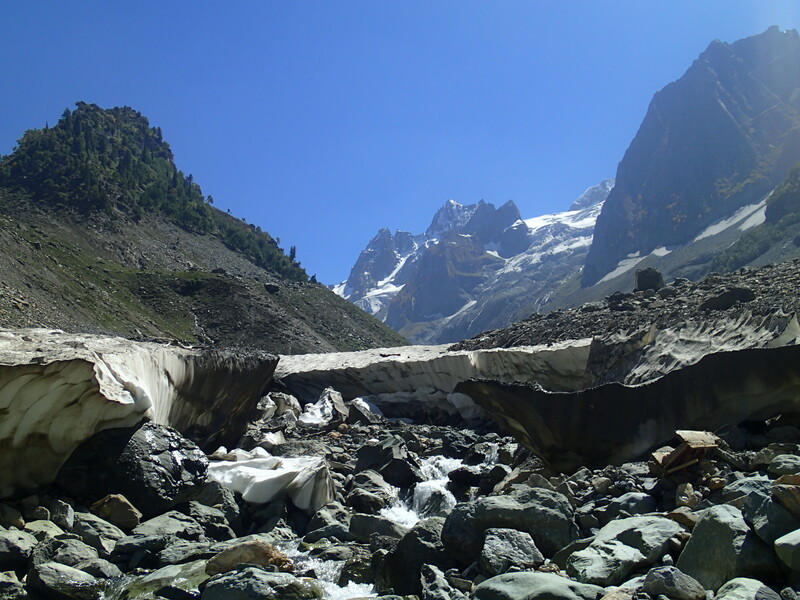 In July, for example, daytime maximum temperatures in Leh average 25° C but it can drop almost to freezing at night. On exposed, south facing rock surface, temperatures may get much higher than this during the day. So, what sort of problems do these high temperatures cause for plants? The ultimate problem with high temperatures for living organisms is that they causes proteins to denature; that is, to lose their precise three dimensional folding. This three dimensional structure is held together by much weaker bonds than those which link the amino acids making up the protein but is essential for the normal function of proteins, particularly enzymes. Enzymes fit their substrates rather like a key entering a lock, so any change in their shape means they will no longer be able to catalyse the reactions essential for all life. One solution adopted by many organisms is the use of so called ‘chaperone’ or Heat Shock Proteins, which help other proteins to fold up correctly and stabilise their 3D structure. 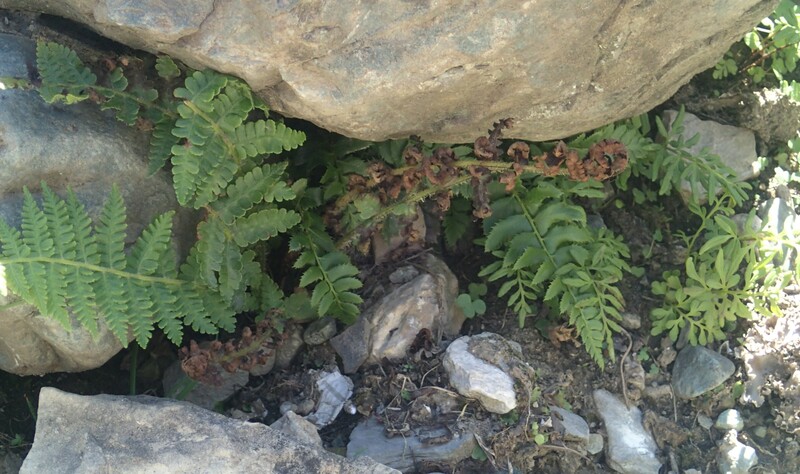 Denaturation happens at temperatures around 45 °C, so this shouldn’t normally be a problem for plants in Ladakh. 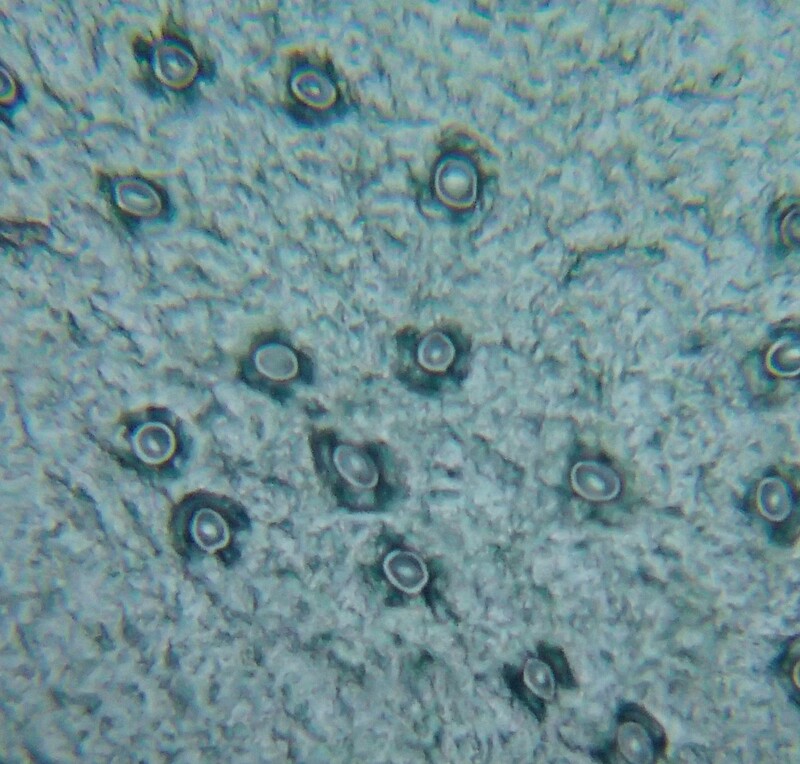 However other difficulties occur at much lower temperatures, which means we need another diversion to look at the lipid membranes around and inside cells, which maintain their integrity. Cell membranes are made largely of phospholipid and sterol molecules. Phospholipds are intriguing molecules made of two very different components. One end (the hydrophilic or ‘water loving’ head in the picture below) carries a slight charge and so dissolves freely in water. However the largest part of the molecule is two long chain fatty acids (the hydrophobic or ‘water hating’ tail below). This cannot dissolve in water (think what happens when you try to mix oil and water) and will spontaneously arrange itself in the midst of other, similar lipid tails, which leads to formation of a so-called phospholipid bilayer. When you shake up phospholipids with water in the correct proportions you end up with what are known as liposomes – tiny spheres of phospholipid bilayer, with a little water trapped inside, which give us an idea of how the earliest cells may have formed. This phospholipid bilayer is the main component of the membranes which surround all cells, from bacteria through to the largest plants and animals. It also forms the membranes around organelles such as the nucleus, mitochondria and chloroplasts in more complex cells. 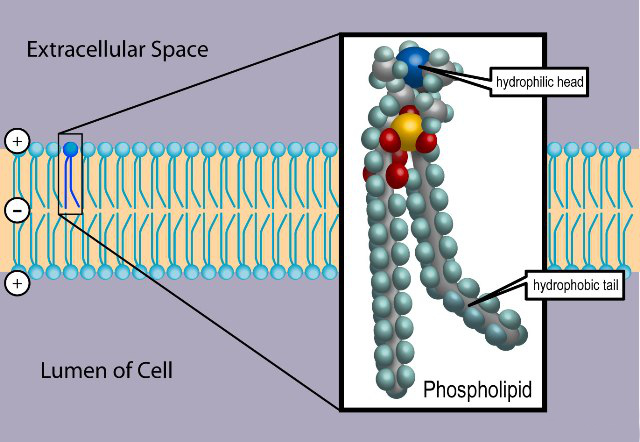 The phospholipids may be mixed with other lipids to give the properties required in a given situation and the membrane will also have, embedded within it, protein molecules with specific functions; letting substances in and out of the cells, communicating between cells and producing energy, for example. So what has this to do with plants and high temperatures? Because of the lipids, membranes become more fluid at higher temperatures, just like fat or oil. The membrane may become leaky and the proteins embedded in it may not fold properly, and so may lose their function. One way the plant can deal with this is by changing the composition of the fatty acid tails in the phospholipid molecules. Just as too many saturated fatty acids in our diet can cause problems by stiffening up the walls of blood vessels, so a membrane whose phospholipids have a higher proportion of saturated fatty acids will be more rigid and, therefore, more tolerant of high temperatures. It’s not just the outer membrane of plant cells that can be damaged by increased temperatures. The internal membranes, particularly those inside the chloroplast, are also vulnerable. In fact, many chemical processes which involve a number of steps take place on membrane surfaces; locating key proteins and enzymes next to each other in the correct orientation makes it easy for small reactants to pass from one to the next seamlessly. Any disruption to the membrane of a chloroplast or mitochondrion will interfere with the key processes of photosynthesis (where sugars are made) or respiration (where they are broken down to release energy). Both are vital in plant cells but photosynthesis is affected at lower temperatures than respiration, so the plant will carry on burning up stored reserves to produce energy when it is unable to replace these by photosynthesis – not a sustainable situation. Unsurprisingly, the effects of high temperatures are exacerbated by a shortage of water, partly because leaves normally rely on the cooling effect of water evaporating from open stomata. In our old friends the CAM plants, with the stomata closed during the day, this isn’t possible. 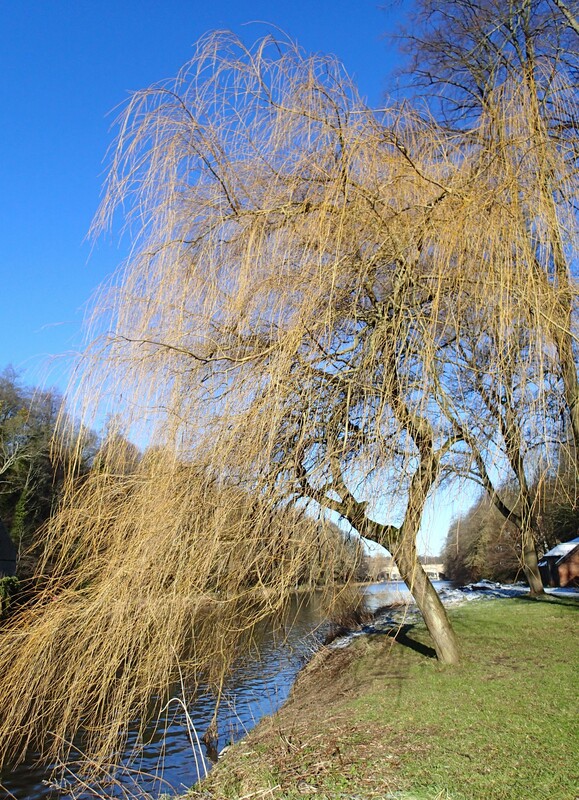 To prove that I’m not just interested in exotic plants, I’d like to introduce you to the willow tree which I am observing this year, inspired by a Woodland Trust project called ‘Track a Tree’. The idea of the project is to ‘record the progress of spring in woodlands across the UK’. This kind of large scale phenological study seems perfectly suited to ‘citizen science’; volunteers are asked to choose a tree and record what happens to it, and the flowering plants beneath it, over the course of successive springs. The aim is to produce a huge amount of data, cheaply, which will help scientists spot any changes in the growth patterns of our trees and other plants, which will also have implications for the many insects and animals which depend upon them. However, I think the scheme will have much wider benefits for those who take part than the feel-good factor of being engaged in something useful when the agencies looking after our environment are strapped for cash. Too often we look at the natural world but don’t really see it. John Ruskin told his students in Elements of Drawing, “I am only trying to teach you to see”. As I lack Ruskin’s artistic talent, I’m hoping to teach myself to see better through the lens of a camera. I chose my tree because of the pleasure it has already given me on more walks along the river banks in Durham than I can possibly count. However, this year, it has already it has shown me things I didn’t know. On my first visit, on January 30th, buds were already obvious on the skeletal framework of branches. By my second visit, just two weeks later, the buds were starting to elongate. However the real surprise came on my latest visit, on Friday, when the first buds had burst to reveal tiny, hairy leaves. I had no idea young willow leaves were hairy, though it makes sense. Newly emerged leaves are fragile things; they make tender food for insects or small animals and their developing chloroplasts can be easily damaged by harsh sunlight. Hairs are one way in which plants can diffuse sunlight so it is less damaging to tissue and they also make the leaves considerably less palatable. Plants alter their metabolic pathways in response to a variety of abiotic stresses, not least a lack of water. A specialised form of photosynthesis known as Crassulacean Acid Metabolism (CAM) is just one manifestation of this. Before we look at CAM, a small diversion is needed to consider how plants normally make the sugars they need for growth. Sugars are made by photosynthesis, a two-step process which takes place in the tiny green chloroplasts inside plant cells, with water, carbon dioxide and energy from the sun as the key raw materials. The first stage, the so-called ‘light reactions’, (unsurprisingly) require light to make them happen; energy from the sun is used to split molecules of water into hydrogen ions, free electrons and that all-important by-product, oxygen. Free electrons and hydrogen ions are too reactive to have floating around a cell and so are used immediately to produce the cell’s energy currency, ATP, and other intermediates (such as NADPH, in the diagram below) which are needed to produce sugars. The second stage of the process, the Calvin or Calvin-Benson cycle, uses the ATP and NADPH to convert carbon dioxide into glucose, the simplest form of sugar. This stage doesn’t require any additional light. In most temperate regions, plants have sufficient water to allow them to open their stomata during daylight hours and take up the carbon dioxide they need, because they can replace the water which leaves at the same time by transpiration. The light and dark reactions of photosynthesis can then take place more or less simultaneously – think of the plant as a factory which runs a daytime only operation, making sugar. Such plants are known as C3 plants, because the carbon dioxide molecules form an intermediate molecule with three carbon atoms (PGA in the diagram below) before sugars are finally produced. C3 photosynthesis in a chloroplast. Light energy splits water molecules and the energy released is used to produce ATP and NADPH. These drive the production of sugars from CO2 in the Calvin cycle. 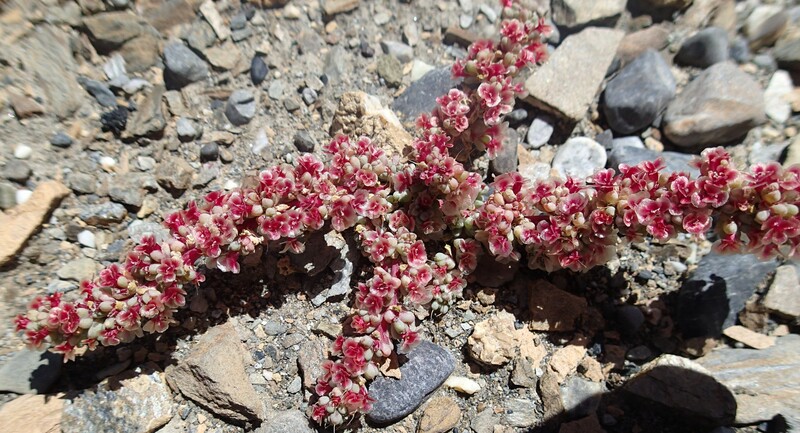 CAM plants, however, such as the Sempervivum species we saw growing in intense sunlight at the top of Chang La pass, cannot afford to open their stomata during the day. Water is in such short supply that any lost during the day cannot be replaced by the roots at night. To get around this problem, CAM plants operate a night as well as a day shift in their sugar factories. They open their stomata only in the cool of night, when water will not be lost so fast by transpiration. This forces them to add an extra step into the regular process; carbon dioxide which enters the leaf cells during the night shift has to be stored there overnight (as the C4 acid in the diagram below), then released and made available for use during the day shift when the light reactions take place. Crassulacean acid metabolism. 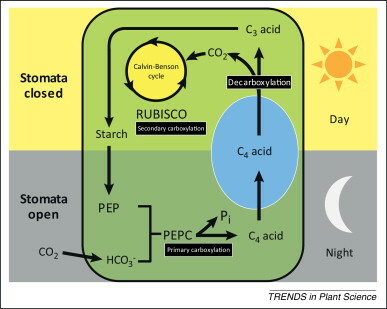 CO2 enters the leaves at night and is stored before being released into the Calvin cycle during the day when light is available to supply ATP and NADPH from the light reactions (with the stomata closed). CAM metabolism means these plants are very efficient at making use of the small amounts of water available to them. They make around one gram of dry matter for each 125 g of water they use, which is three to five times better than a typical C3 plant. What about the name? 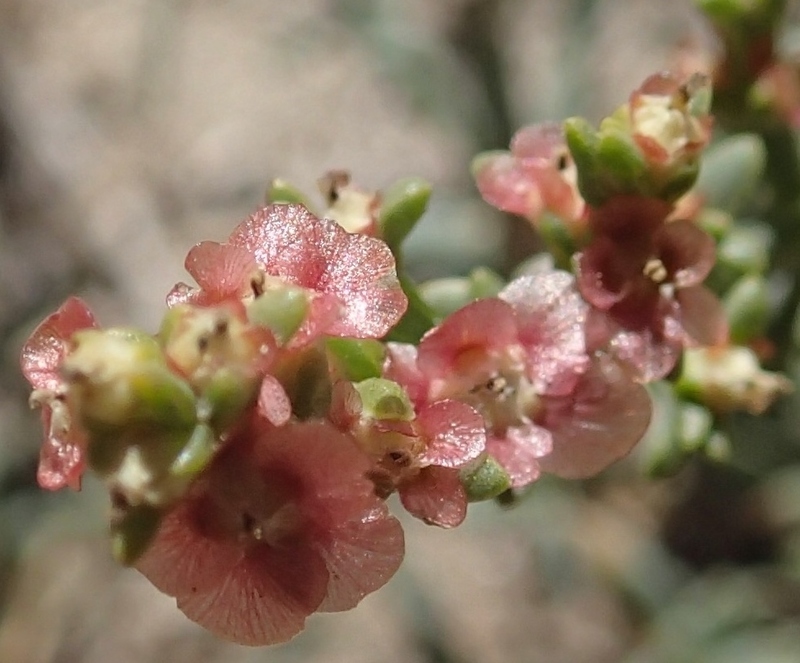 This behaviour was first recognised in plants belonging to the family Crassulaceae which includes some less exotic plants found in particularly arid environments much closer to home. Think about what it’s like living on top of a dry stone – a tiny desert-like microhabitat, often in the full glare of the sun. 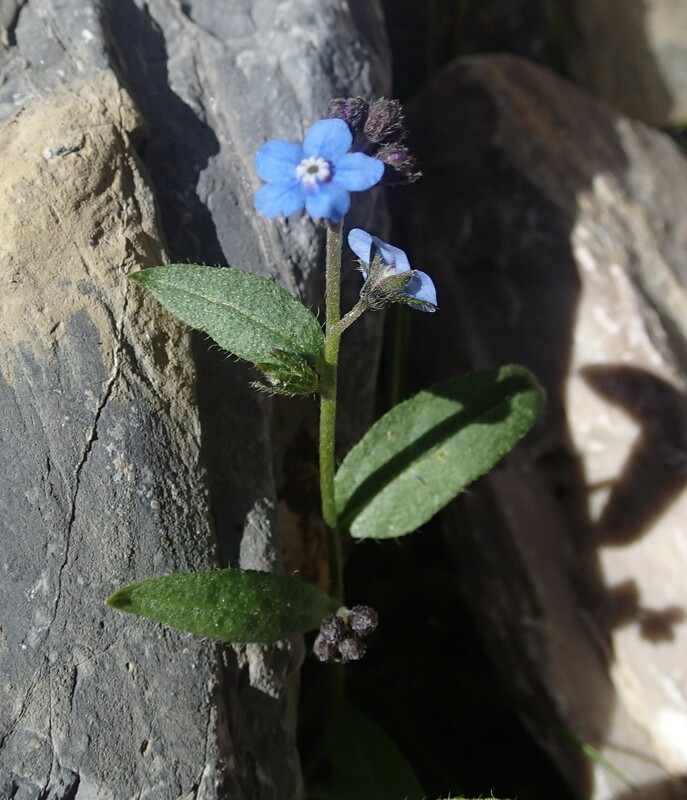 Whilst on the subject of Crassulaceae, if anyone knows the name of this pretty little plant growing on bare rocks beside the road, particularly as we descended from Ladakh into Kashmir, I’d be very grateful. 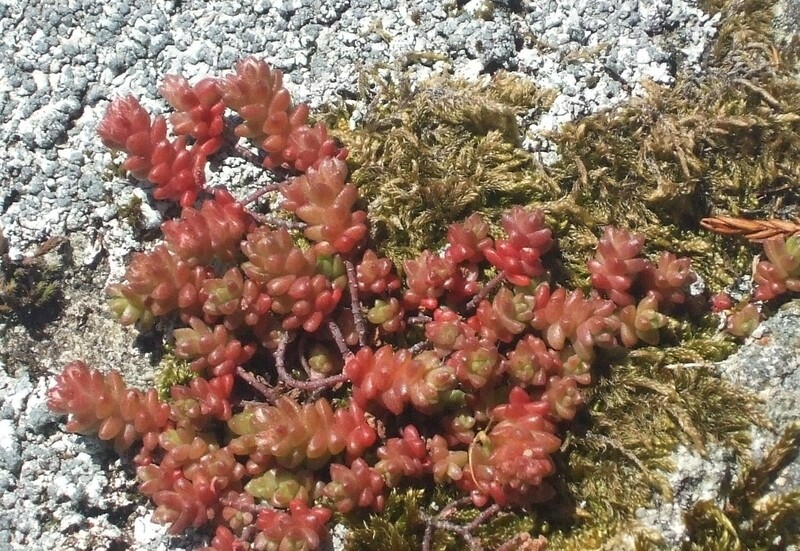 I suspect it to be some kind of Crassula or Sedum species, but can’t find it in any of my books. Why don’t all plants use this clever variant of photosynthesis? Because there is no such thing as a free lunch and the extra steps required use up some of the plant’s precious energy. Plants will only resort to CAM when they need to in order to survive. One of the consequences of this is that some plants can switch in and out of CAM mode – so called facultative CAM plants. They can make the extra enzymes required, along with the physiological changes required to reverse the pattern of stomatal opening, just when they need to. 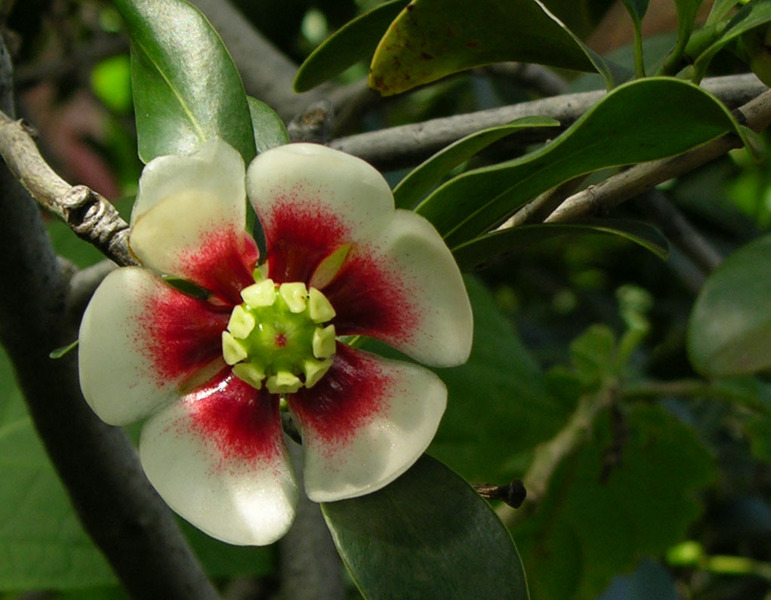 I haven’t been able to track down any Himalayan plants known to do this, perhaps because no-one has really looked, but the tropical American genus Clusia has a number of examples. 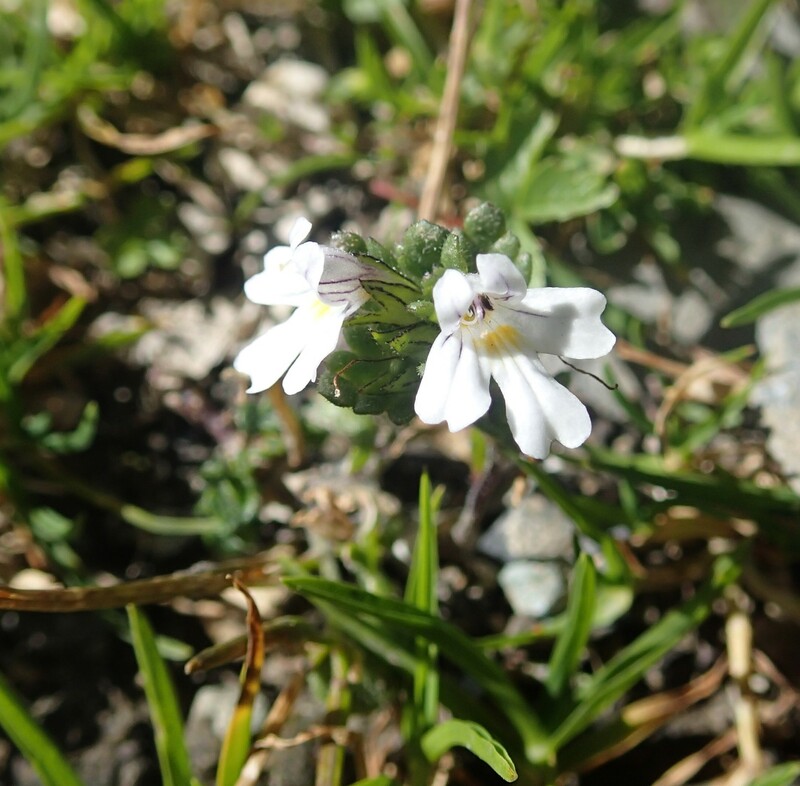 So how do plants which live in the drier areas of Ladakh cope? 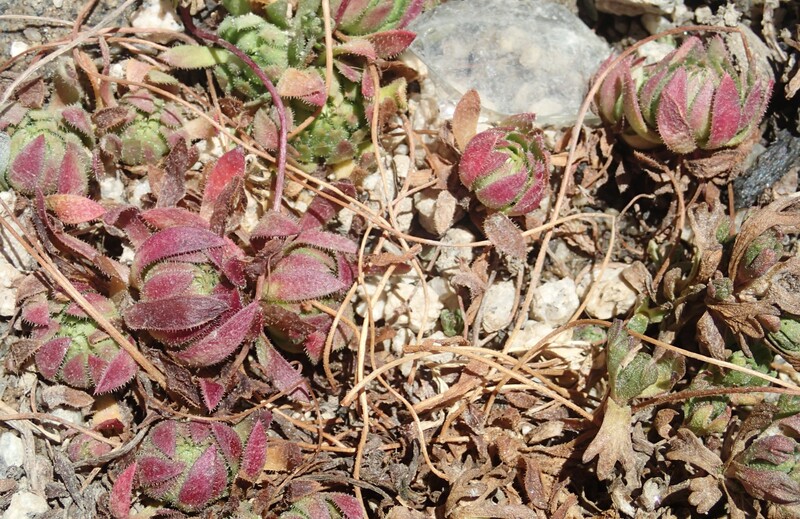 Some desert plants make the most of water when it is available (mostly July and August in Ladakh) by having an annual life cycle and a particularly short growing season. They germinate at the first hint of warmth and moisture in the soil and grow quickly to the point of flowering and setting seed. Seeds dry out naturally as they ripen and, once dehydrated, can live in the soil for many years in a sort of suspended animation until conditions are suitable for a new plant to grow. Some seeds carry an added layer of protection in the form of dormancy. In a climate such as that of Ladakh, where winters are bitterly cold, seeds may require a period at a low temperature (known as vernalisation) to break this dormancy. This provides a safety net to ensure than the seeds do not germinate in a particularly warm or damp autumn, only to be killed by the winter weather. 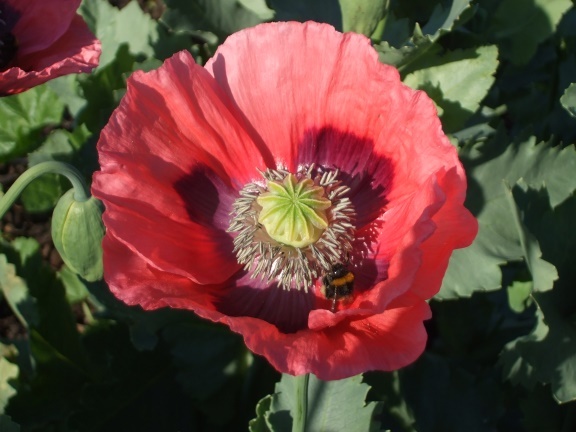 Amongst the most dramatic of these annual plants are many poppies, including perhaps the best known, Papaver somniferum. When the opium poppy seed capsule reaches maturity, it contains thousands of the tiny black seeds we know as poppy seeds, though anyone looking for an opiate hit from these will be disappointed. 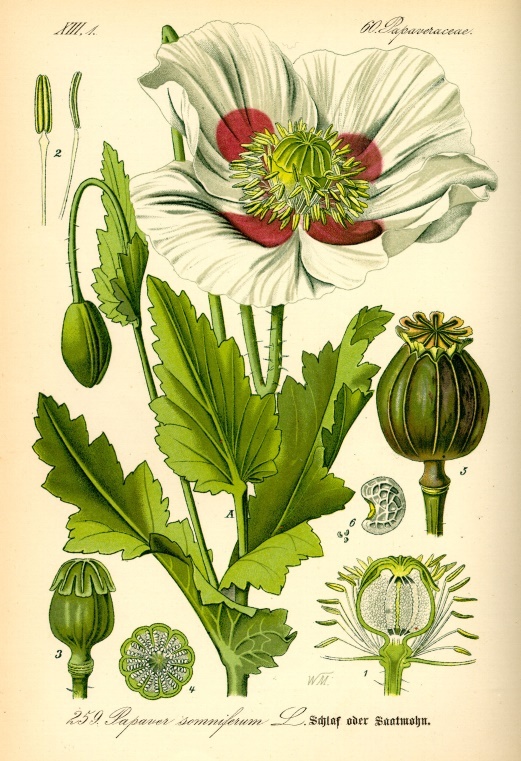 Opium is produced from the latex harvested by making incisions in the green seed capsules. When the capsule dries out, the disc at the top pulls away from the base leaving a series of holes, out of which the seeds are shaken, like pepper from a pot. At least a few of these are likely to survive long enough to grow into new plants. 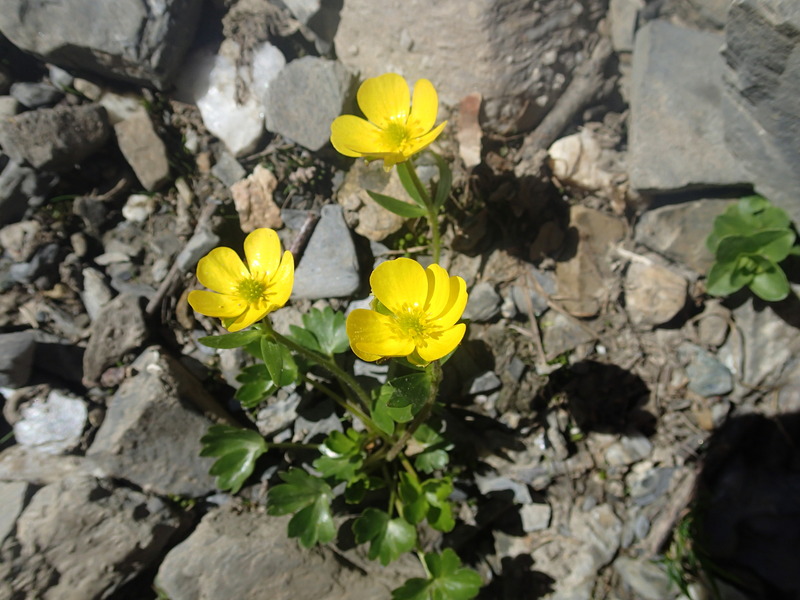 Other plants adopt different strategies to allow them to survive in this hostile environment. One common strategy is to modify the leaf structure in some way. 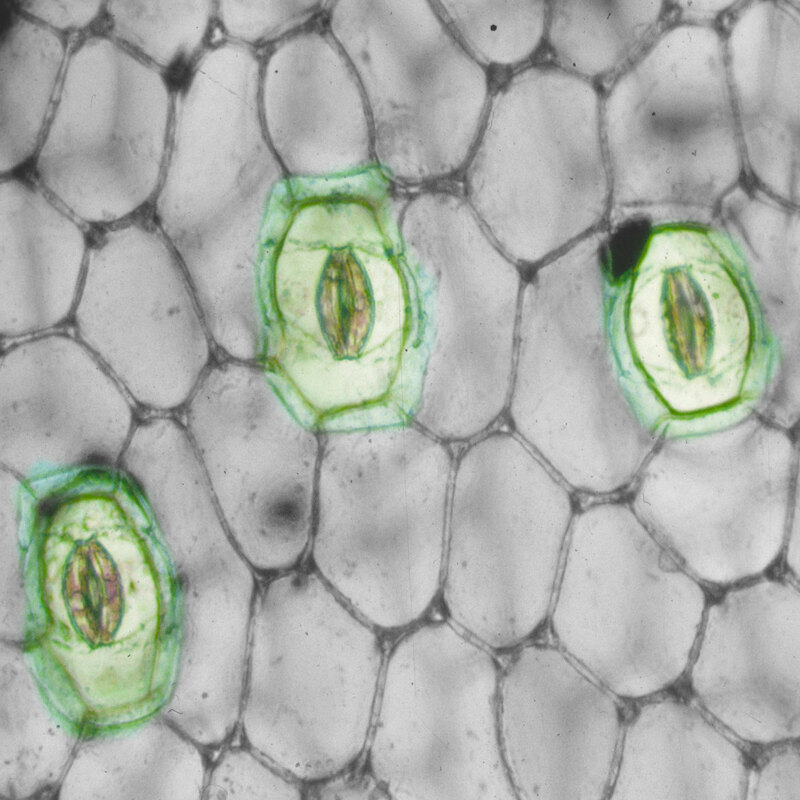 When growing where there is plenty of water the outer layer, or epidermis, of plant leaves is punctuated by many of the tiny stomatal pores we looked at in my previous post (Plants get stressed too!). These serve the dual purpose of allowing gas exchange and helping to cool the leaves by evaporation when temperatures are high. However when water is in short supply, the density of these is much reduced. This is easy to show by preparing a stomatal peel using clear nail varnish painted onto the leaf surface. Leaf peel from lower epidermis of Ficus sp. Many plants growing in dry areas reduce the size of their leaves, to minimise the area over which water can be lost; this can either be a short term acclimation or longer term adaptation. Leaf growth is, of course, a function of both cell growth and cell division. The rate at which cells divide is reduced in plants under water stress when one of the signalling cascades I mentioned previously slows down replication of the genetic material, DNA, which is necessary for the cell cycle to continue. Cell expansion is also reduced because cells will be less turgid under mild water stress so the cell contents cannot exert the outward pressure on the cell wall which is one of the driving forces for cell growth. Whilst a reduction in stomatal density will reduce a plant’s ability to cool itself by evaporation, small leaves have a reduced boundary layer effect (air cannot flow so freely over them) so can lose heat to the air more rapidly to compensate for this. Dividing a leaf into lobes has a similar effect and you can sometimes see this example of phenotypic plasticity in different locations on same plant, dependent on the microhabitat experienced by each leaf. 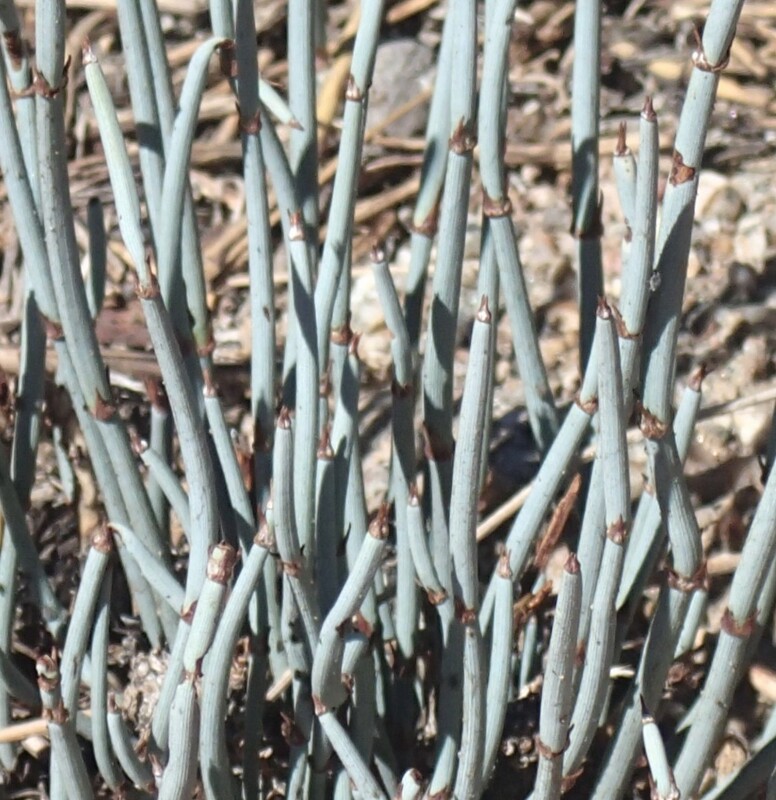 Some plants take this to extremes – all that remains of leaves in the Ephedra gerardiana we found growing near Leh are tiny brown scales at the joints of slender green branches. 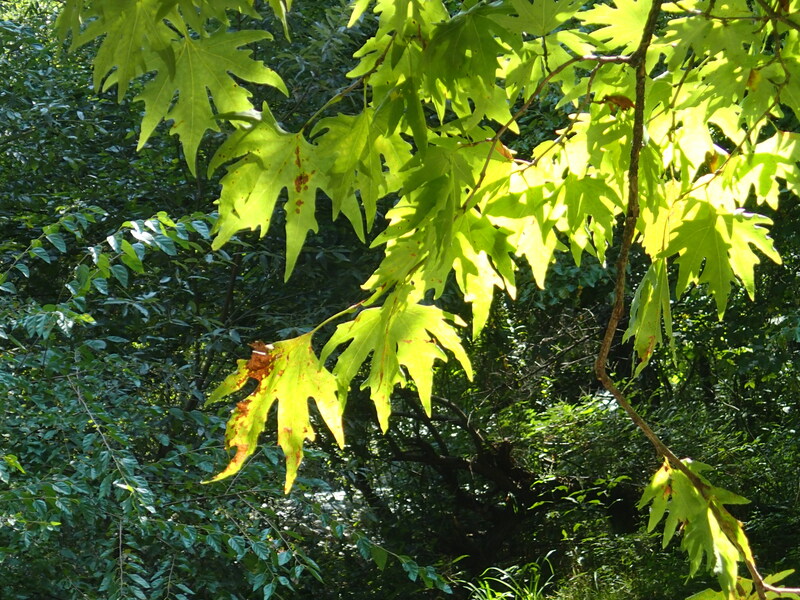 Here the branches have to take over the leaves’ photosynthetic role. Unappetising as it may look to us, Ephedra is an important winter food for goats and yak in Ladakh and is also the source of the alkaloid ephedrine. Another strategy employed by plants is to have hair like projections known as trichomes on the leaf surface, giving it a silvery grey colour. Trichomes help to trap moist air near the surface of the leaf and, at the same time, reflect sunlight to keep the leaves cooler. 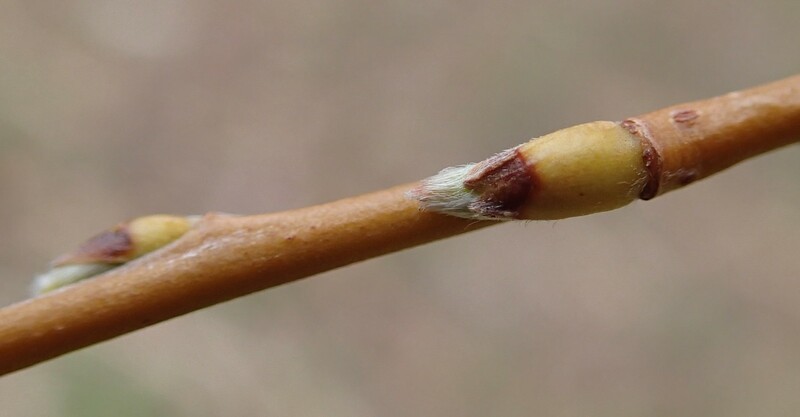 Some species produce leaves without trichomes in spring, to maximise the amount of photosynthesis which can take place at cooler times of the year. Of course many plants in the most hostile environments combine several of these adaptations, alongside metabolic adaptations such as Crassulacean Acid Metabolism, which we’ll come to next. It’s not just animals and people that feel the effects of stress. In many ways, plants are even more vulnerable than we are, lacking our option to move away from whatever is causing us difficulties. Plants have little alternative other than to hunker down and get on with life in the place where they find themselves, if they want to survive at all. Of course this hunkering down can take many forms; if the threat is just making life uncomfortable, rather than impossible, a species may be able to adapt by slow genetic change over a number of generations until it better fits its environment. However sometimes that is not enough, and a plant has to be able to acclimatise quickly by changing its structure or function to survive at all. Such temporary changes to physiology or morphology, not passed on from an individual to its offspring, are known as phenotypic plasticity. Phenotypic plasticity is particularly important in letting plants respond to a rapidly changing environment but often the two processes act together to contribute to plants’ tolerance of extreme environments. So what causes plants stress? Factors such as a lack of water (or occasionally too much water), extremes of temperature, too much or too little light and soil conditions are among the most important abiotic influences on plant growth (those resulting from the environment rather than other organisms). The first three of these (water shortage, temperature extremes and too much light) are likely to be particularly significant at the sites we visit in Ladakh and, of course, they all interact with one another to exacerbate the effect. At 3000 to 5000 m above sea level, the altitude has an important effect on temperature, light and water availability. Of these factors, water availability is probably the single most important in determining whether or not plants can grow. It is no coincidence that one of the most botanically diverse places we visited in Ladakh was below the Thajiwas glacier at around 2800 m.
Here, meltwater seeping out from beneath the snow pocket allowed the growth of an amazing variety of plants amongst the rocks. Many of these were the type of plants that, at home, we would associate with damp, shady areas, despite the aridity of the surrounding landscape. Three different ferns, Ranunculus hirtellus, Euphrasia himalayica and Myosotis sp. amongst the rocks below Thajiwas glacier. Ferns need water for reproduction so are generally a good indicator of a habitat where water is not in short supply and buttercups, forget-me-nots and eyebrights are all plants associated with damp meadows in the UK. Their presence indicates a microhabitat here quite different to what we might expect – in much of Ladakh, where annual rainfall averages around 10 cm, drought is a serious problem. Much of the water taken up by plants where water supplies are adequate (up to 97 %) is ‘wasted’ in the process of transpiration – the evaporation of water through pores called stomata on the leaf surface. Only around two percent is used to drive cell expansion and one percent for metabolic activity. The role of the stomata is to allow plant leaves to take up the carbon dioxide gas needed for photosynthesis but the loss of water through the open pores is an inevitable consequence. Of course this water is not really being wasted – water entering the plant through the roots brings with it dissolved minerals which the plant needs to survive. The water itself then passes up the plant through a pipe-like system of xylem vessels in the stem and out through the leaves. In the process it keeps cells fully hydrated or turgid – necessary both for growth and to act as a hydraulic skeleton to support the plant. Normally the stomata are open during the day, when photosynthesis occurs, and closed at night. This allows the plant a chance to rehydrate itself at night. A low relative humidity in the atmosphere (as found throughout Ladakh for most of the year) creates a problem for plants because water may evaporate more rapidly from the leaves than it can be replaced, rather as if we are sweating heavily but unable to drink. 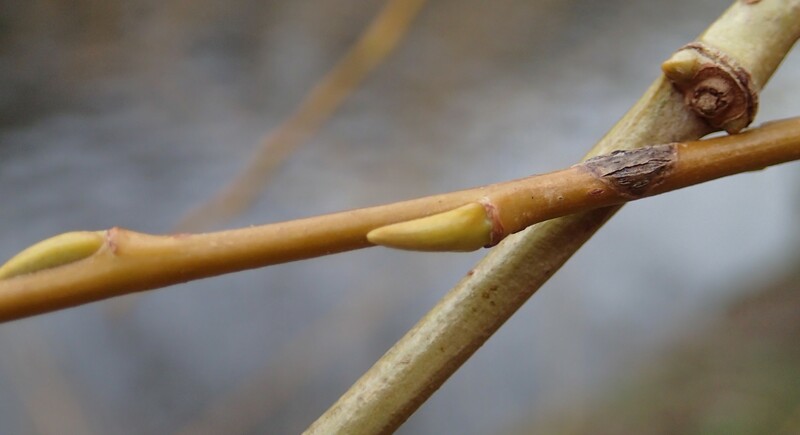 When this happens, a plant is said to be in water deficit – a situation which it can tolerate for a short while but which will, eventually, lead to permanent wilting and death. The problem is exacerbated, in very dry soil, by the fact that water is held so tightly by the soil particles that roots cannot take it up at night to rehydrate the plant.